Today I'm back with another DT layout for My Creative Scrapbook using the August Main Kit and this month's cut file! I started by selecting the geotag image with the circle, enlarge it and cut it out three times from pattern paper. I wanted to create a backing, I did this by using the offset in my Cameo and cut it from solid color cardstock. 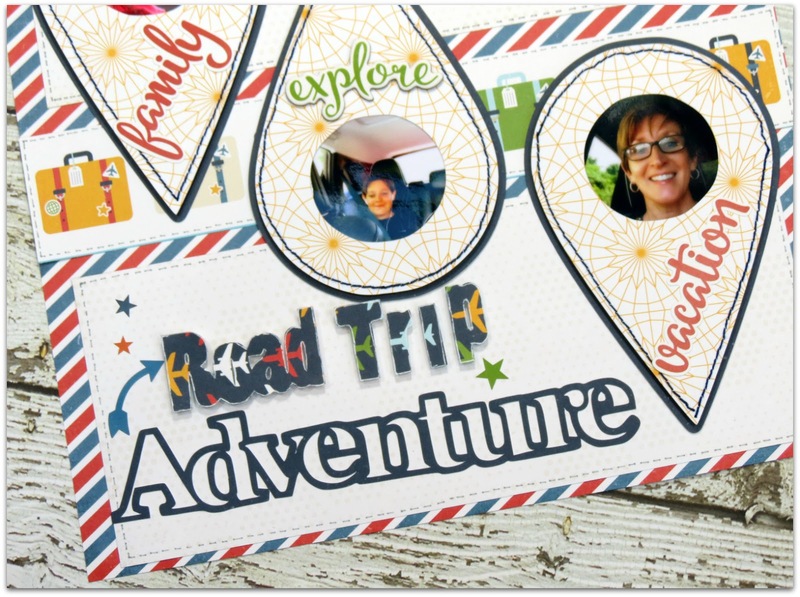 I then added machine stitching around the perimeter and sandwiched my photos in between each geotag and adhere to my base. I also decide to create a title using some of the words from the cut file and loved how this filled in the empty space on the bottom left side of my page. Next, using a few chipboards and stickers, I created a small cluster to the top right of my layout and completed it by adding my journating. Lastly I added a few stars stickers and a couple of enamel dots around the layout. 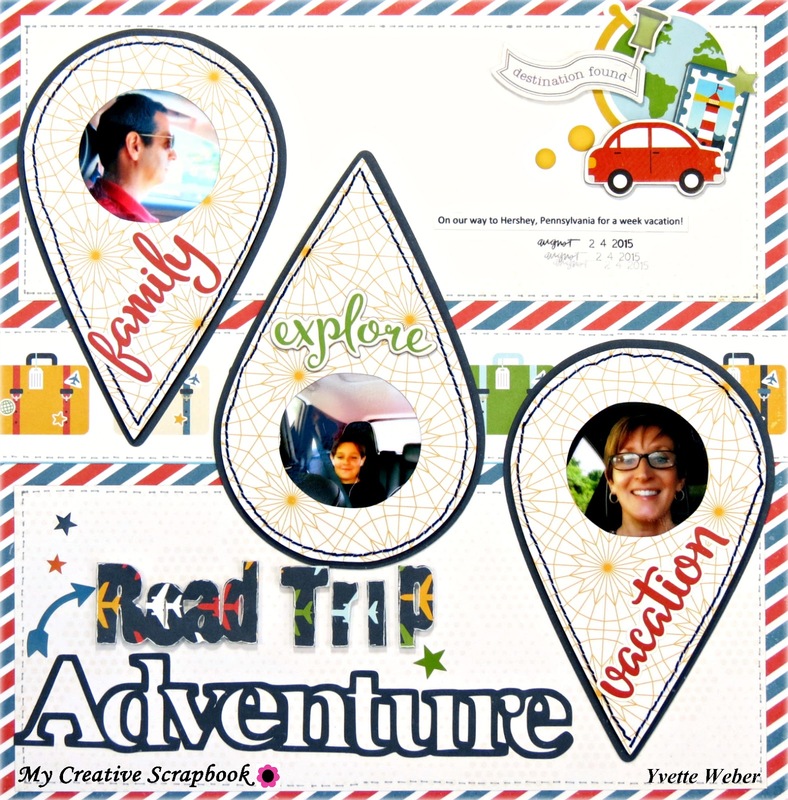 I hope I inspired you today to create something beautiful using the cut files from My Creative Scrapbook !